The art world is particularly partial to Thomas’s sparkly women. Inspired by her mother’s 1970s photographs depicting strong women from the Black Power era, the artist’s work hues toward images of women with a certain presence. 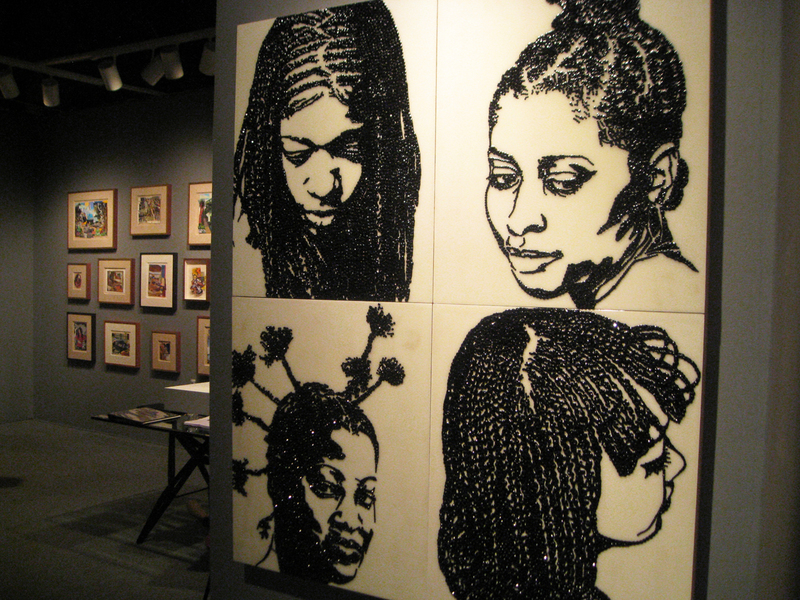 The bejeweled portraits explore issues of race, sexuality and gender, and also feature detailed surroundings. 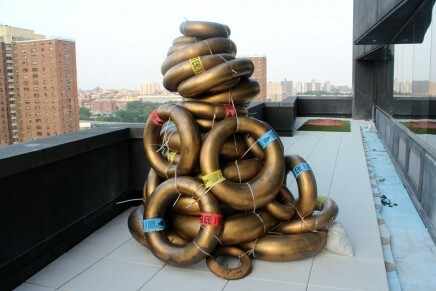 Thomas, who studied painting and interior design at Pratt Institute, also finds her muse in depictions of home interiors. Thomas was profiled in the Los Angeles Times last week. The article focused on “Mickalene Thomas: Origin of the Universe,” her solo show at the Santa Monica Museum of Art (April 14 to Aug. 18, 2012). Thomas herself posed for one of her more revealing portraits in the exhibition of new work that will debut at the Brooklyn Museum in September 2012. 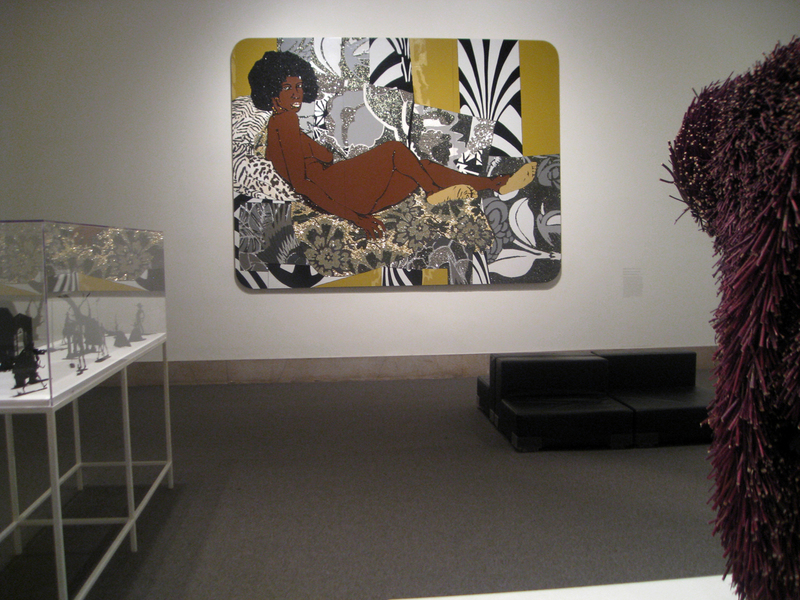 Above and top of page, “A Little Taste Outside of Love,” 2007 (acrylic, enamel, and rhinestones on wood panel) at the Brooklyn Museum. 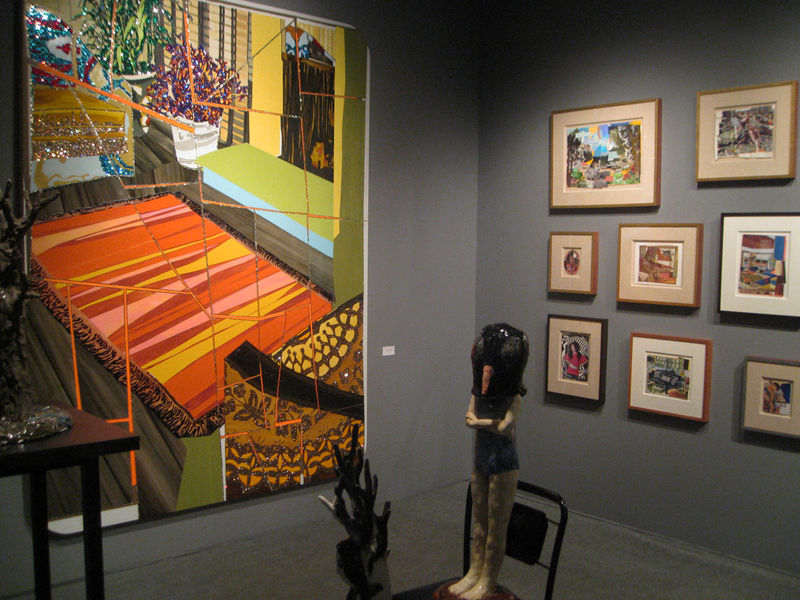 The artist’s work on display at the Lehman Maupin booth (Thomas is represented by the New York gallery) at The Art Show sponsored by the American Association of Art Dealers (ADAA) at the Park Avenue Armory in March 2012. 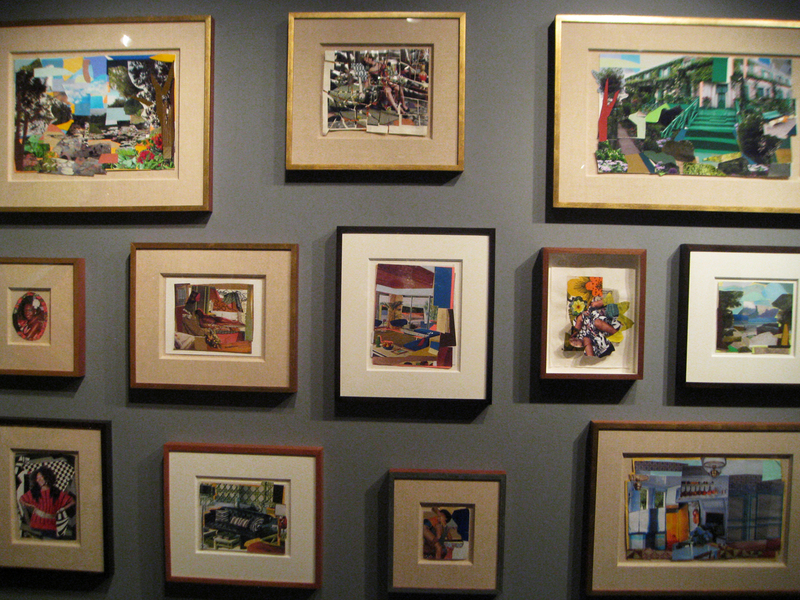 A series of Thomas’s interior portraits on display at the Lehman Maupin booth at The Art Show.